LG’s curved smartphone is getting a taste of the newest version of android. AT&T announced today that on April 17th they will be rolling out the update, giving G Flex owners a taste of KitKat. The update includes a new full-screen mode, Restyled status and navigation bars, and Enhanced processing speed. The update also has battery improvements, along with all the added features of Kitkat, like cloud printing, Tap & Pay for secure NFC payments, the ability to choose a default SMS app, emoji, and better UI on the music controls from the lock screen. and the update is 686 MB! That’s a huge update size, so you will need to update on Wi-Fi. This will be a great update and totally worth the long time it will take to download, it packs tons of new features and improvements that will make the device better. The G Flex is a cool concept device, but doesn’t really have a foothold in today’s market. The phone just isn’t the best choice out of all today’s flagships. Don’t get me wrong the device is great, but it is just a low end device and I wouldn’t be able to justify getting that just for the curved 720p screen. The next version of the G Flex will be the one to look at in my opinion. They will work out the bugs of the current device and add the updated specifications it needs to be a real player in today’s market. 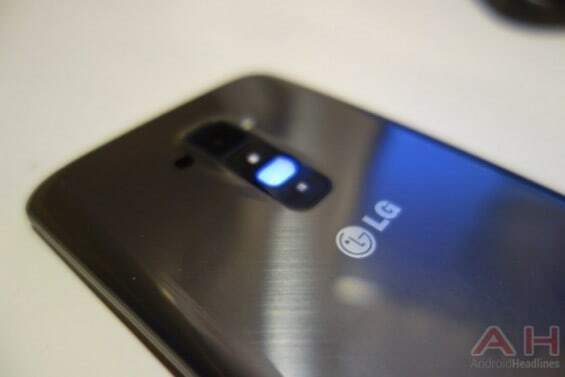 After the update you should see an improvement in the overall performance of the phone, and the added features see to be compelling, as long as the work as I imagine this will be a great update. To manually check for the update go to Settings > General tab > about phone > Software update > Update now. The post The AT&T LG G Flex Gets a taste of Kit Kat on April 17th appeared first on AndroidHeadlines.com |.